A couple of weeks ago, our year-long celebration of this building’s centenary culminated with the opening of the cornerstone and a rededication service. It’s always interesting to travel back in time, and I’m sure I wasn’t the only one wondering if our predecessors had any idea what shape the church would be taking over the century that was to follow. I know I was (and still am) wondering what’s going to become of the church over the next hundred years, and I often wonder what I should say or do to play the part God wants me to play. I would imagine that some of that must’ve been going on in the minds of the leaders of the Union Congregational Church as they dedicated this new building in 1916. And so, as we think about our own experience on our own little street corner, let’s try to imagine what it must’ve been like for the earliest Christians who didn’t have much of a roadmap, and who had very little experience to guide them as they set out on the path of being a Christian in a world that either didn’t know who they were or, if they did, was anxious to stamp them out before they were able to spread too far. Though the first four books of the New Testament tell of what came at the beginning of the era of our Lord, the letters of Paul were actually written before the gospels, and they provide the earliest roadmap for the first century church. 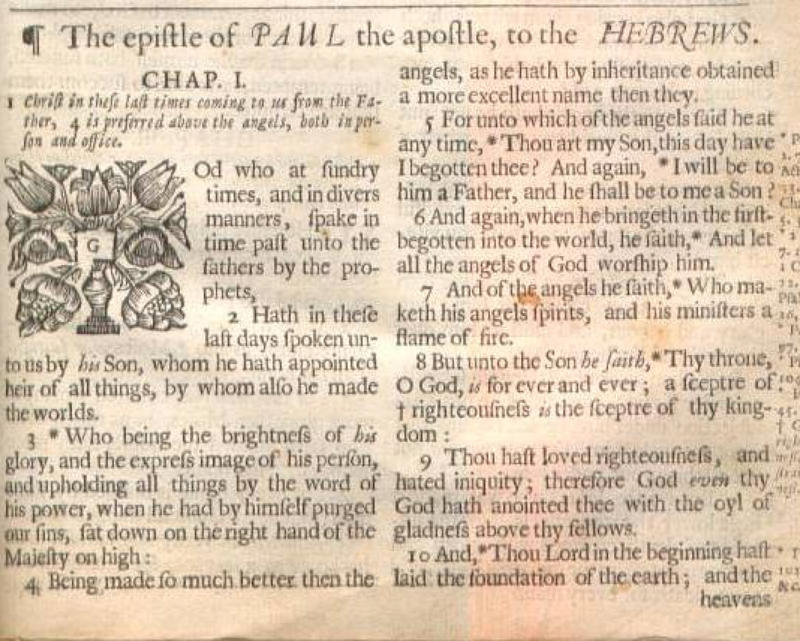 It was assumed for a long time that Paul also wrote the Letter to the Hebrews. 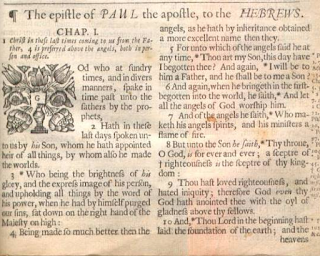 In fact, in the old Authorized (aka King James) Version, the title of the book was The Epistle of Paul the Apostle to the Hebrews. But the letter itself contains no reference to Paul and doesn’t open and close the way that Paul’s other letters do. But most importantly, the style and the vocabulary are very different from Paul’s other letters. And so you won’t find many people these days who believe that Paul wrote Hebrews. Such is the case with the Letter to the Hebrews. We can see that it was clearly intended to help Jewish Christians better understand and relate to their new faith, because the whole letter is in dialogue with what we now call the Old Testament in ways that no other New Testament book is. As the late great preacher Fred Craddock put it, “The Christian faith grows out of and is sustained by the conversation between the church and its Bible.” This letter is perhaps the best example of this we see in the Bible itself, for it is the church speaking to and on behalf of the church using arguments that are upheld by the scriptures and in conversation with those same scriptures. Most of the letter is deeply theological in nature, explaining who Christ is and how Christ fulfills both law and the prophets, and also explaining the intricate relationship between what we do and what we believe. In fact, it’s probably the most wonderful demonstration anywhere in the Bible of how the faith of the patriarchs and matriarchs was more important than what they actually did. Works came as a result of faith, and therefore, it has always been faith that has saved the faithful. But today we read a passage from the final chapter of the Letter to the Hebrews that moves us (as so many Epistles eventually do) from the realm of the theological to the ethical… or, more simply put, from the clouds to where the rubber hits the road. The first verse of the passage is not just short and sweet, but deep and beautiful: Let mutual love continue. It’s both an exhortation and an affirmation. You’re already loving. Keep loving. Paul might’ve said something very similar at this point. If I could, though, I’d like to translate this verse using a Greek word that we’re all familiar with. The actual first word of Hebrews 13 in the original language is also the name of the largest city in Pennsylvania. 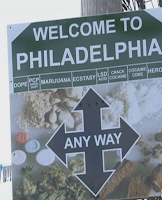 So I’d like to say, “Let philadelphia continue,” since we all know (I think) that φιλαδελφία is actually a Greek word meaning brotherly (or sisterly) love, translated in the NRSV as mutual love—basically, love for people who are like unto ourselves. But then the author of this letter moves from how we treat people like us—φιλαδελφια—to how we treat the people whom we consider to be outsiders. This Greek word isn’t one we immediately recognize but it’s easy to figure out. In our current political climate, we’re probably increasingly aware of something called xenophobia, or the fear of foreigners or strangers. A -phobia, as we all know, is a fear. So that means that the xeno- part of the word must mean stranger. But instead of fearing strangers, the author of Hebrews moves immediately from encouraging his or her readers to practice φιλαδελφια to encouraging them to practice φιλοξενια—not brotherly or sisterly, but strangerly love… or, as we are more likely to call it, hospitality. 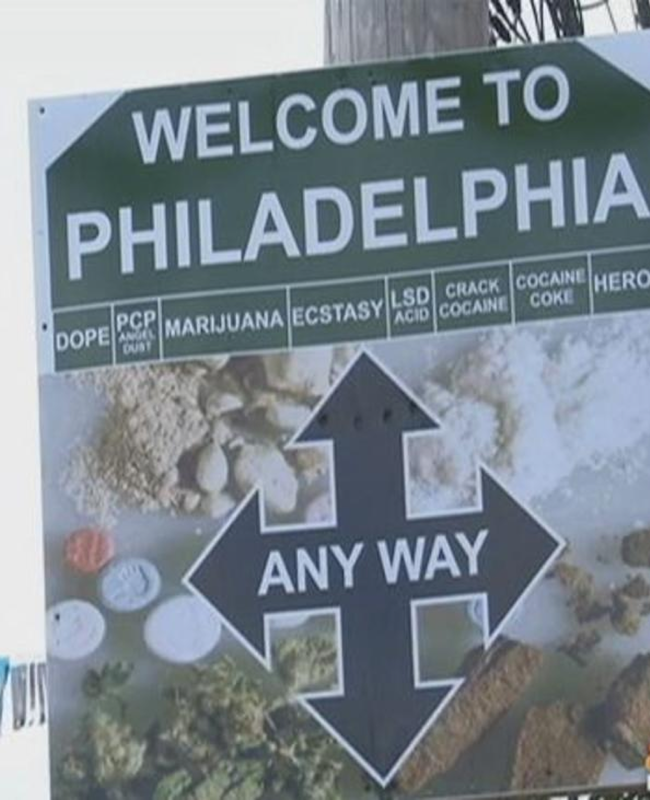 So we might say that Hebrews 13 tells us to continue our philadelphia, but not to forget about philoxenia. It goes without saying that we should look within and help those who are like us. But to truly be the body of Christ, we must also look without and help those who aren’t like us. Hospitality is, in fact, a huge theme in the Bible, because people’s survival back in the days it was written depended on the kindness of strangers. If I had to choose one very important thing that has been lost in the ensuing centuries, it is this one. In our time and in our culture, hospitality is more of an industry than a way of life. Whether we travel on business or for pleasure, we count on the hospitality industry to make us comfortable. Hospitality also comes into play when we encounter somebody on the streets in need of directions, say, to the Cove; and we feel good about ourselves when we take time out of our busy schedule to point them in the right direction. Occasionally hospitality takes charge of our lives when we entertain friends from out of town for a few days in our homes. But for the most part—unless it’s what we’re paid to do—hospitality plays a minor rôle in how we live. But in the ancient world—especially in arid areas where water and food were scarce—if people couldn’t count on strangers when they went from place to place, they simply wouldn’t survive. They couldn’t call ahead for reservations. They often couldn’t afford inns, but even if they could, cities and towns were sometimes too distant to get to before nightfall. But as important as hospitality was in general, Hebrews talks about it in a unique way—a way that is, in fact, very Hebrew. Never fail to practice strangerly love (or hospitality), for by doing that, some have hosted angels without knowing it. The Authorized Version put it especially beautifully: thereby some have entertained angels unawares. The writer could’ve been referring to some contemporary Christians he or she knew. But it’s probably more likely that they were referring to an Old Testament story, such as the one found in Genesis 18 when three strangers appeared to Abraham and Sarah. The writer of Genesis clues us in in the very first verse that it’s “the Lord” who came to them, though later interpretations have tended toward the view that the three men were messengers of the Lord. But through them, God promised Sarah and Abraham a child. Angels unawares. There’s a certain kind of reality TV show that I’m thinking of right now. The premise is simple, but interesting: Somebody important goes undercover to discover what really goes on in a particular kind of business. 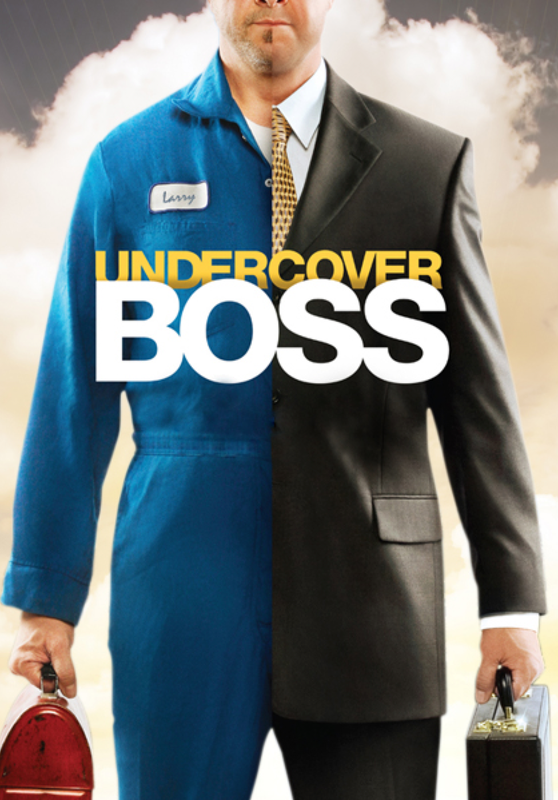 One example is a show called Undercover Boss. In this show, a high ranking executive poses as a low-ranking employee in their own company in order to see what’s really going on. At the end of each episode, the true identity of the employee is revealed. Some of the people they worked with are rewarded, while others are penalized—or even fired. 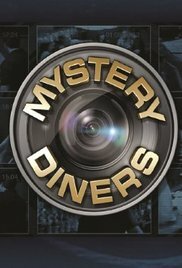 Another example is called Mystery Diners. In this one, a restaurant owner can’t figure out why they’re losing so much money, or why patrons won’t come back, or some other problem. And so they call in the “mystery diners” who pretend to be new employees or customers or vendors. They’re wired with secret cameras, and in this way the restaurant owner can find out stuff that wouldn’t know otherwise—such as who’s stealing from them, or who’s treating the customers rudely, or who’s abusing the employees. The Bible’s version of this kind of reality TV would be a show called Angels Unawares. The premise is that there’s a heavenly messenger posing as a stranger in need of hospitality. How will the angel be treated by the faithful? Calvin had himself been just such a fugitive who had been forced to flee his native France because of his religious beliefs. And one of his principle functions in life was to minister to other refugees who were coming to Geneva because of their religious beliefs. These people weren’t just Frenchmen and -women, but were also English and Scots and Hungarian and Dutch and German. We don’t need to forgive Calvin for allowing his interpretation of the scriptures to be influenced by his own experience. Indeed, I think that’s precisely what we should do when we read the Bible. Jesus made it impossible not to, in fact. When we read Hebrews 13:2 telling us that we’d better be kind to strangers, for it might just be an undercover angel we’ve encountered, it sounds somewhat supernatural. But Jesus made it even more fantastic, and in so doing brought the whole thing back down to earth. Near the end of Matthew’s gospel, Christ told the parable of the sheep and goats. It was a lot like one of those reality shows I mentioned earlier, except instead of a business executive separating those who were to be rewarded from those who were going to get fired, this parable is about the Son of Man separating the peoples “as a shepherd separates the sheep from the goats.” The sheep, as you probably remember, were the ones who had come to the aid of the downtrodden, while the goats were those who had ignored them. In the end, both groups got what they wanted out of life: Those who had wanted to be close to their brothers and sisters got to be with God, while those who wanted to keep their distance got to be separated from God. We are created in the Image of God, and rejecting that Image—whether in friend or stranger—is a rejection of the One in whose Image that person was made. So far from the metaphysical nature of an angel coming to us in the guise of a person in need of either φιλαδελφια (brotherly/sisterly love) or φιλοξενια (strangerly love), it is both easier and theologically much more satisfying to look not upon the outward appearance, but at the Image at the other person’s core. In so doing, we will see the very Incarnation of God. In a climate of mistrust and xenophobia, let us, therefore, be a people of honor, a people of love, a people who do not neglect to show hospitality to strangers—not out of fear for the angel in them we cannot see, but because of love for the Christ in them we do see. Fred R. Craddock, The Letter to the Hebrews, The New Interpreter’s Bible, Vol. XII (Nashville: Abingdon, 1998) p. 3. Perhaps you think I quote Calvin too often, but have you ever considered that Calvin might simply have been predicting what Sam Greening was going to say on any particular topic. John Calvin, Commentary on Hebrews 13:2. John Calvin, Institutes of the Christian Religion 3.7.6. It should be noted that in the next sentence Calvin states that “in those who are of the household of faith, the same rule is to be more carefully observed, inasmuch as that image is renewed and restored in them by the Spirit of Christ,” thus emphasizing φιλαδελφια (Hebrews 13:1) over φιλοξενια (13:2).